Can he be true to his conscience and to her trust? Or is betrayal inevitable? Lord Quintus Deverall is a diplomat. Not an adventurer, not a spy and definitely not an assassin. But the government seems set on making him all three when they send him on a mission into war-torn Egypt. He must extract a stubborn English scholar, who may be a traitor. If he is, their lordships don’t want him back, just… disposed of. But he has a daughter and Quin is not prepared for the violence of his attraction to an unconventional, independent and downright dangerous young woman. All Cleo wants is her freedom. All Quin wants is to put this mission behind him and get back to London and his hunt for an eligible bride, even if it means betraying Cleo’s faith in him in the process. Somehow they have to rebuild a shattered trust if they are to follow their hearts. There was shade down there and water jars sweating themselves cool and the start of the green growth that ran from the desert edge into the banks of the Nile. Too soon. Quin lay flat on the hot sand of the dune’s crest and distracted himself from thirst, heat and the throbbing pain in his left arm by concentrating on the tent below. Tent was perhaps too modest a word. It seemed to consist of several interior rooms surrounded by shaded areas formed by poles and flaps of fabric which, he supposed, would collapse to make outer walls at night. It was an immaculately neat and well organised encampment, although there were no servants to be seen. To one side was an animal shelter with hitching rail and trough, on the other a reed roof covered a cooking area. A thin wisp of smoke rose from the banked fire, there was no donkey tied to the rail and the only occupant appeared to be the man in shirtsleeves who sat at a table in the deep shade of an awning, his pen moving steadily across the paper in front of him. Quin narrowed his eyes against the dusty sunlight. Mid fifties, burly, salt and pepper brown hair: that was certainly his quarry, or one of them at least. Sir Philip Woodward, baronet, antiquarian and scholar, neglectful husband, selfish widower and father and, very possibly, traitor. A flicker of movement out of the corner of his eye betrayed robes caught in the light breeze. Someone was approaching. Quin shifted his gaze to where the monumental columns of the temple of Koum Ombo rose from the enshrouding sand, dwarfing the mud-walled huts of the little village of fishermen and farmers beyond it. The person leading a donkey must be familiar with the area, for they spared no glance for the great ruins as they passed them by. It was a woman, he saw as she came closer, clad in the enveloping folds of a dark blue tob, but like most of the country women of Upper Egypt, unveiled. A servant – or the other person he had been sent to find? Madame Valsac, widow of Capitaine Thierry Valsac of Napoleon’s Army of the East, daughter of Sir Philip Woodward and, maybe, another traitor. 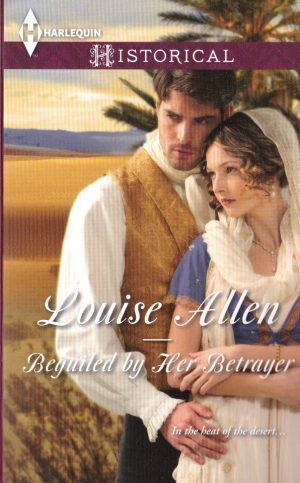 But unlike her father, whose safety was of little concern to the hard-faced men who had briefed Quin, Madame Valsac was to be extracted from Egypt and restored to the custody of her grandfather whether she liked it or not, and regardless of where her loyalties might lie. That this might prove troublesome, hundreds of miles from the coast and the invading British army, in the path of France’s fearsome Mameluke allies who were believed to be heading north at that moment, and in the midst of one of Egypt’s periodic outbreaks of plague, had not concerned the gentlemen in Gibraltar. Quin was a diplomat who spoke French and Arabic and knew enough of antiquities to pass as one of the French savants, the scholars left by Napoleon to explore Egypt under the protection of his under-paid, diseased, poorly-resourced army. That, so far as they were concerned, was sufficient qualification. ‘Classical antiquities, my lord,’ Quin had pointed out. ‘My knowledge of Egypt is virtually non-existent.’ Nor am I qualified in kidnapping females, he might have added, but did not. ‘I am not an assassin, my lord.’ Quin had said it with an edge missing from the protest about his lack of knowledge of Egypt. He might be ambitious, but he drew the line at murder.